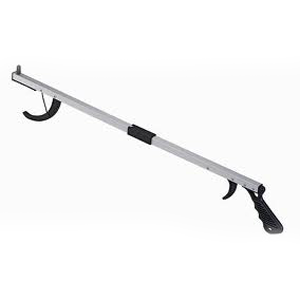 The Featherweight Standard Reacher designed for use by individuals with mobility disabilities and limited hand strength. This device enables users to reach items overhead or on the floor without stretching or bending. This lightweight aluminum reacher features a grasping jaw and a contoured, textured pistol-grip handle.